Many of these photos are of Franklin Pierce and Nancy Ann Offineer Fry's children and grandchildren and date to the late 1800s or early 1900s. For more detail on family relationships see the Fry family tree. 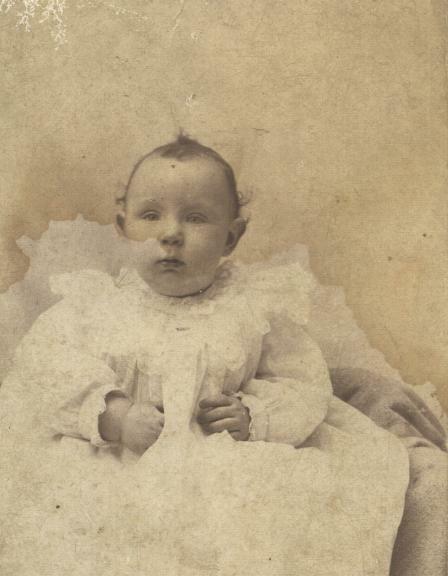 * This picture is likely Clarence Kosht as an infant. Clarence was a son of Mary Catherine Fry Kohst (1875-1948). * Clarence Kosht as a teenager. * Lois Decker, the daughter of Flora Offineer Decker. 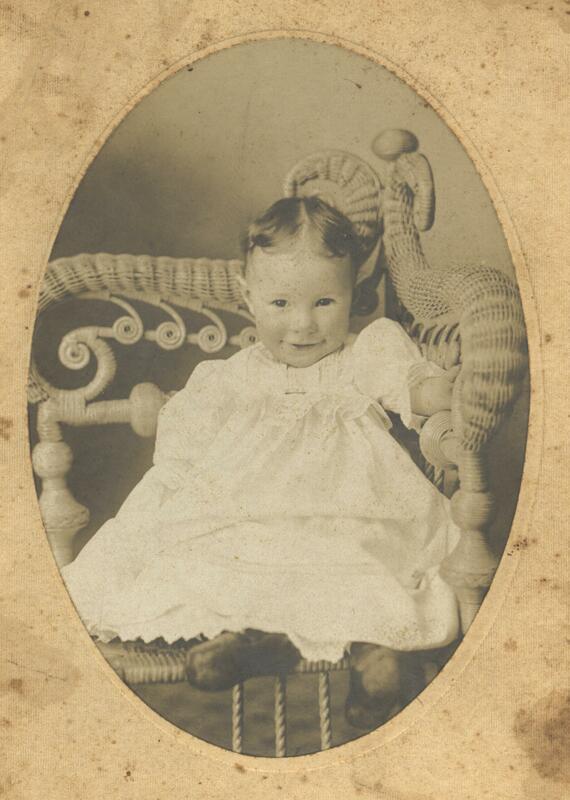 Lois was born in November, 1908, so this picture is likely early in 1909. 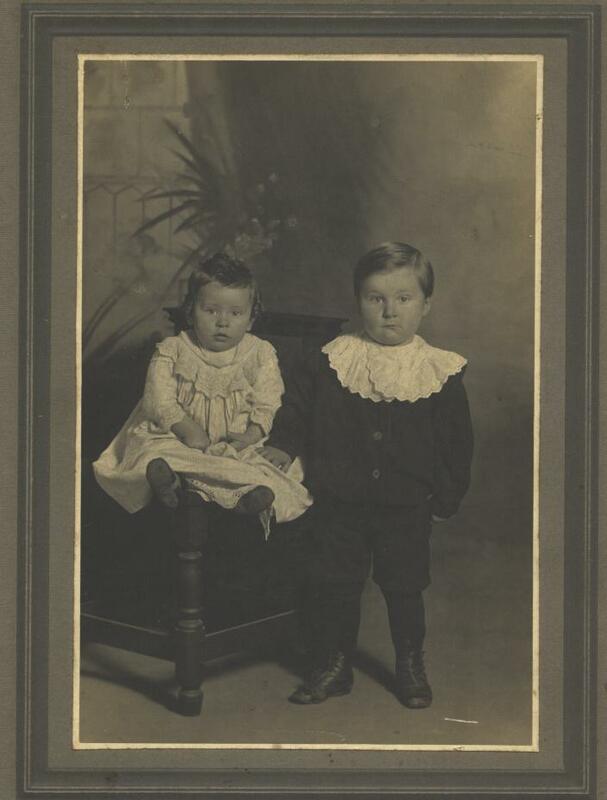 * Samuel (L) and Raymond Young, the sons of Flora Ethel Fry Young (1882-1960). Likely date: 1908.